TALLAHASSEE, Fla. — In just a few moments and two tweets, President Donald Trump roiled Florida's crucial elections Thursday, upending his party's ongoing efforts to make inroads to the battleground state's growing Puerto Rican population. Trump's tweets claiming that "3,000 people did not die" in the hurricanes that hit the island last year and falsely alleging that the official death toll was part of a plot by Democrats to make him look bad were immediately condemned by Puerto Rican leaders, Democratic opponents and, in a rare breach, fellow Republicans in the state. Ron DeSantis, who won last month's GOP primary for governor largely due to Trump's endorsement, "doesn't believe any loss of life has been inflated," a spokesman said. Gov. 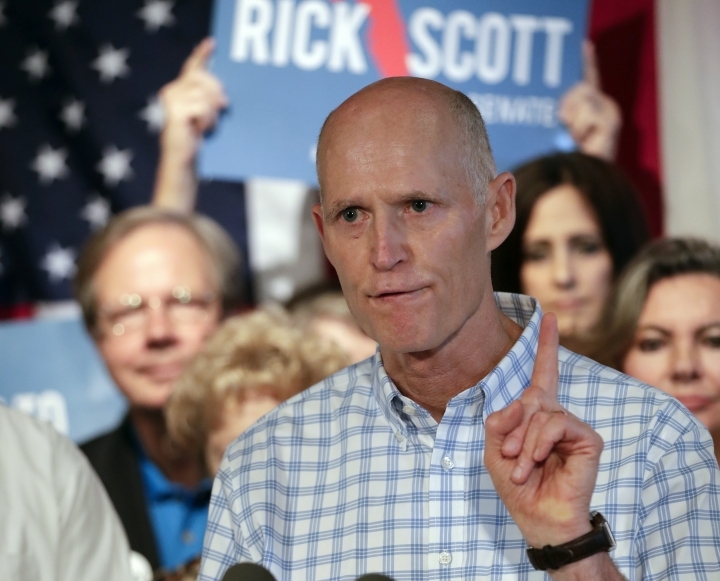 Rick Scott, who is challenging Democratic Sen. Bill Nelson for his seat in November, tweeted flatly, "I disagree with @POTUS." The direct and swift rebuke from Trump's Florida allies demonstrated the significance of the Puerto Rican voters in a state where races are often decided by slim margins. Republican candidates for months have been carefully courting the Puerto Rican community, hoping to prove their concern about the island's slow recovery and win over voters who tend to vote Democratic. But the episode shows how Trump, who has an outsized influence on races in Florida and beyond, may not make it easy for Republicans to reach out to swing voters. The president's tweets came just one day after Nelson launched a new Spanish-language ad that features pictures of Trump and Scott together and says in Spanish "tell me who you hang out with, and I will tell you who you are." Florida was already home to more than 1 million Puerto Ricans before Hurricane Maria slammed into the island territory nearly a year ago. Tens of thousands of residents fled Puerto Rico in the aftermath, with many of them relocating to Florida. 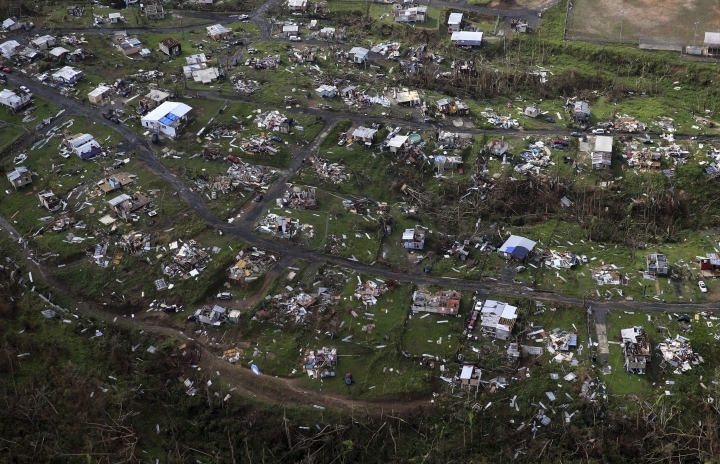 Puerto Rico's governor last month raised Maria's official death toll from 64 to 2,975 after an independent study found that the number of people who succumbed in the sweltering aftermath had been severely undercounted. The growing Puerto Rican community near Orlando has been key to swinging the area into the Democratic column as many Puerto Rican voters have backed Democrats. In 2016, Democrat Darren Soto became the first congressman of Puerto Rican descent elected from Florida. It's not clear how many Maria survivors who came to the mainland are now registering to vote in Florida. A Miami Herald analysis in late August found that only about 3,150 voters with Puerto Rico phone area codes had registered to vote between the hurricane's landfall and the primary deadline in late July. But despite that there's been a concentrated push by both parties to appeal to Puerto Rican voters and seek out endorsements from top Puerto Rico politicians. "I've been to Puerto Rico 7 times & saw devastation firsthand. The loss of any life is tragic; the extent of lives lost as a result of Maria is heart wrenching. I'll continue to help PR," Scott tweeted Thursday. Right after the storm Scott ordered the opening of disaster relief centers to help those who came to Florida. Over the summer, the governor ran an ad that said he is the one politician who was helping Puerto Rico. DeSantis, Nelson and Democratic candidate for governor Andrew Gillum have also visited Puerto Rico this year. For DeSantis, breaking from Trump marked a major, first shift away from the conservative base voters that carried him to a victory in the primary. 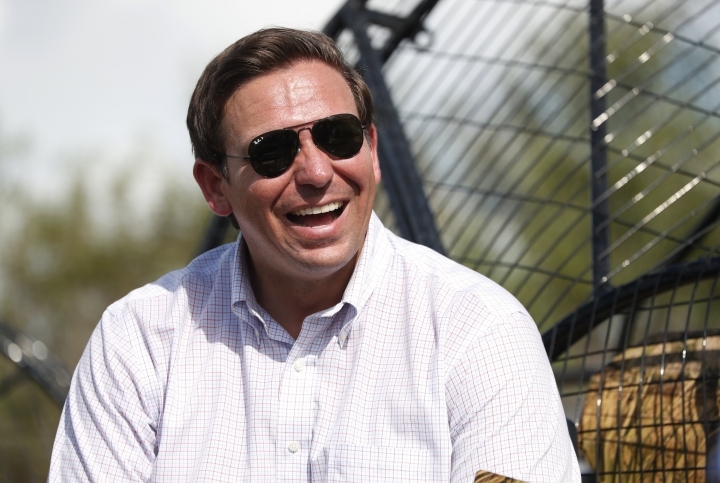 "Ron DeSantis is committed to standing with the Puerto Rican community, especially after such a tragic loss of life," said Stephen Lawson, a spokesman for DeSantis. State Rep. Amy Mercado, a Puerto Rican Democrat from central Florida, called Trump's comments about the death toll "disgusting, vile, and show just who he is." "The lives lost because of Maria were very real, and the island is still dealing with the devastating effects and poor federal response," she said. Other Democrats in Florida also were sharply critical of Trump. Nelson on Twitter called the comments "shameful" and said that "we deserve and expect more from someone who holds the highest office in our country." Gillum, who is challenging DeSantis in the governor's race, also blasted the president. "No death is partisan and our brothers and sisters in Puerto Rico deserved better," Gillum said on Twitter.